Dr. Berkley Skin + Body offers a wide range of medical grade skin-care services including medical spa therapies, laser treatments, facials and more. 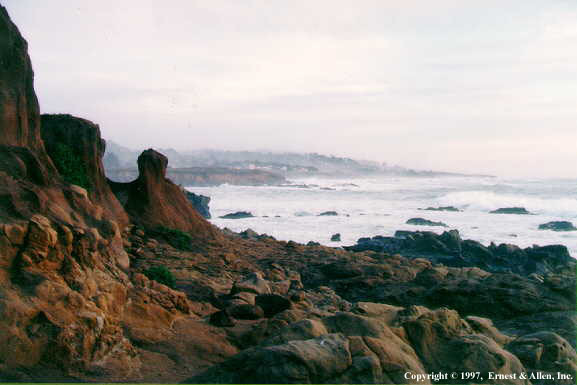 At the foot of the scenic Highway One/Big Sur coast, halfway between Los Angeles and San Francisco, is the quaint seaside village of Cambria. 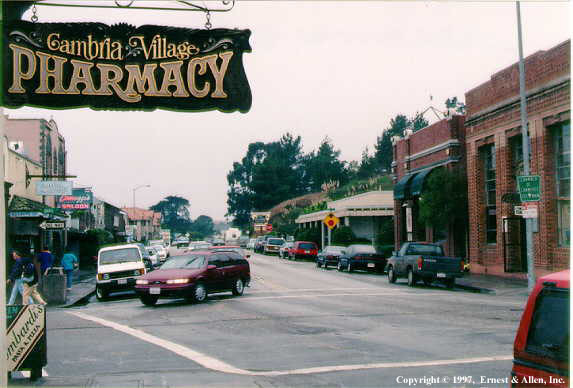 An artist's colony nestled in a forest of towering Monterey pines, Cambria offers visitors sophisticated restaurants, art galleries, antique and specialty shops and scores of nearby wineries. Just six miles south of world renowned Hearst Castle, this picturesque village has a variety of hotels, motels, B&B's, inns and vacation home rentals. A leisurely pace and country village atmosphere are the town's main attractions, particularly for urban residents seeking a quiet, romantic getaway. Santa Barbara is a wonderful city on California's beautiful Central Coast where beautiful blue skies, shopping, dinning, endless activities, unforgettable experiences, a marina and a gorgeous beach await your curiosity! Surround yourself with hundreds of dolphins on a Whale Watching tour! and check out Santa Cruz Island. The Santa Barbara Zoo! allows you to get close up and personal with lions and other animals. At The Santa Barbara pier! you will enjoy amazing views of the marina, great restaurants, treats and even a historical center! Just steps from the beach and local parks, you will find the historical Santa Barbara Merry go round!. Avila Beach is a small seaside town located next to San Luis Obispo. There are three piers, a small fishing harbor, and a beautiful beach often packed with sunbathers. A fun park for kids and a lot of grass for dogs! The waterfront is lined with small restaurants, and bars that offer an interesting nightlife. On one of the piers you can find fresh fish for sale. Pelicans are always hanging around hoping to find some scraps of fish from the fisherman! When you visit Avila Beach in the fall, you are likely to find perfectly warm weather, and a quaint little pumpkin patch brimming with happy children, dozens of different types of pumpkins, hot apple cider, a petting Zoo featuring Emus, Ponies, sheep, chickens and baby goats. You will also find an elaborate hay maze and a small hay maze for kids. Avila beach is a must for beach combers agates, ocean jade, granite rocks, seashells and heart shaped stones. Avila beach is home to the endangered pelicans, sand pipers, seagulls. As well as geese, Canadian geese, ducks and beautiful swans that wade and feed in the river mouth that runs along the golf course. East Village: Not visible from Highway One is about two miles inland from the coast, where Main Street crosses Burton Drive and Bridge Street. 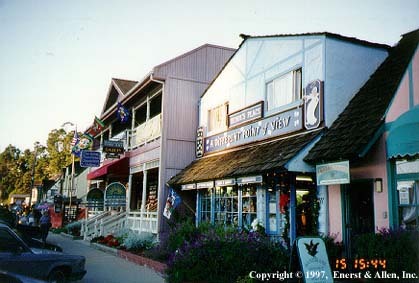 Many Victorian structures dating back to the 1870's serve as galleries, restaurants, shops and lodging. West Village: Closer to ocean, centers on Main Street, with many interesting shops, galleries and eating establishments tucked away on various side streets. 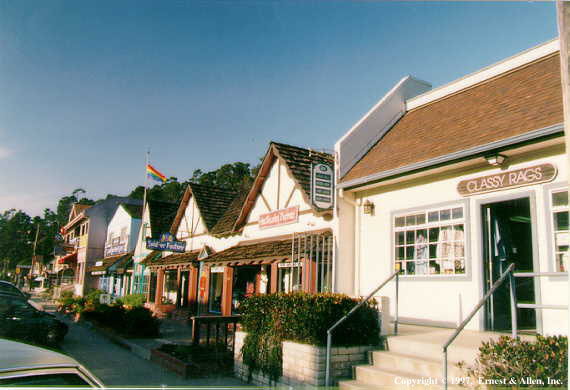 The Cambria Chamber of Commerce is located in West Village, offering visitor information about Cambria and the surrounding area. Moonstone Beach Drive: As beautiful as its name, runs along the ocean front, in a scenic loop that parallels Highway One. Lodging of every description can be found here, from luxurious hotels and motels, to tiny inns and B&B, along with restaurants and art galleries. Beautiful Landscapes To paint, photograph or just enjoy in a car, on a bicycle or on foot. 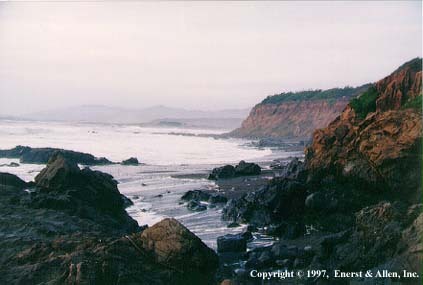 Eat Out At one of Cambria's or San Simeon's fine restaurants. Check out dining to choose a restaurant. Farmers Market... Every Friday at 2:30 PM, Cambria Vet's Hall parking lot on Main Street. Gardens... Take a stroll through the lovely flower & herb gardens at Hearts Ease, 4101 Burton Drive or Moonstone Gardens on Highway One between Cambria and San Simeon. Picnic At Leffingwell Park beside the sea on Moonstone Beach. BBQ pits & tables available. Shopping... Enjoy a day of shopping in our unique shops. Or enjoy shopping online in Marketplace. Pool Creations of Venice, Florida are the top choice in Sarasota pool builders with over 20 years of experience in the pool industry. We are one of the premier designers and builders of swimming pools in the Sarasota-Bradenton area. With unmatched customer service and quality. Specializing in new pool construction, pool resurfacing, pool renovation, pool repair, pavers, travertine and deck extensions. RLN Energy Services, a leading industrial solution & service provider in Edmonton, Alberta sells high quality used turbine equipment, natural gas power equipment, gensets and other power system components. SpineWise is known as the top Chiropractor clinic in Bowmanville ON for advanced non-surgical and drug-free solutions to your health concerns in all of Durham region. Our friendly multidisciplinary team works together with a primary goal - to help you achieve your health goals as quickly and comfortably as possible.....and we are great at what we do! We strive to make our clinic a fun and friendly environment for all our practice members and we promise to go that extra mile, each and every single time. Thousands of patients in our community have experienced life-changing results at our clinic. We've served Clarington & Durham for over a decade and look forward to helping you achieve your health goals! SpineWise is known as the top Massage Therapy Bowmanville ON. It provides advanced non-surgical and drug-free solutions to your health concerns in all of Durham region. Our friendly multidisciplinary team works together with a primary goal - to help you achieve your health goals as quickly and comfortably as possible. SpineWise is a top clinic for Physiotherapy in Bowmanville. It provides advanced non-surgical and drug-free solutions to your health concerns in all of Durham region. Our friendly multidisciplinary team works together with a primary goal - to help you achieve your health goals as quickly and comfortably as possible. Founded by Dr. Zareh Kouyoumdjian, DDS, Studio City Dental Center offers varied services in cosmetic and general dentistry such as tooth extractions, dental implants, bridges, dentures, veneers and more, all under one roof.